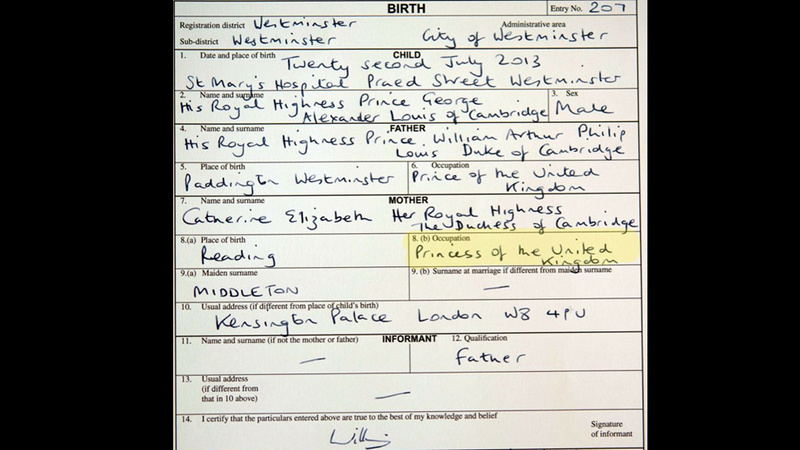 Posted on 5, August 2013, in royal and tagged birth certificate, Britain, prince george, princess, Princess of Cambridge, royal, royalty. Bookmark the permalink. 2 Comments. “Disney couldn’t have created something this good.” So true. It doesn’t seem like something out of the real world in 2013! Indeed! It’s quite the career!